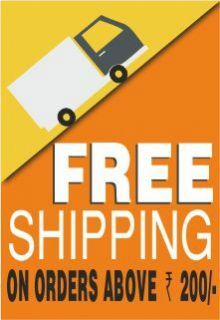 Pack Contents Saraswati Idol, ganga Jal, Deepam, Chandanam tablets, Peetha for Saraswathi, Pooja Bell, Thandula, Pooja Akshata, Peetha for Bell, Agarbathi, Pugli Phala, Haridra, haridra for making the symbolic Lord Ganesh, kumkuma, Vastra, Karpoora, Karpoora Aarti Plate, Ganesh Idol, Peetha for Ganesh, Kankana, Cotton Wicks for Deepam, Agarbathi Holder, Copper Vessel, Kanchuki, Rangoli Powder, Rangoli Stencil, Slate and Chalk. An important landmark in a child's life is when they set their first steps on the path of learning and education. This auspicious journey begins with performing Akshara Abhyasa Pooja, to invoke the blessings of Goddess Saraswati - the Goddess of Learning. 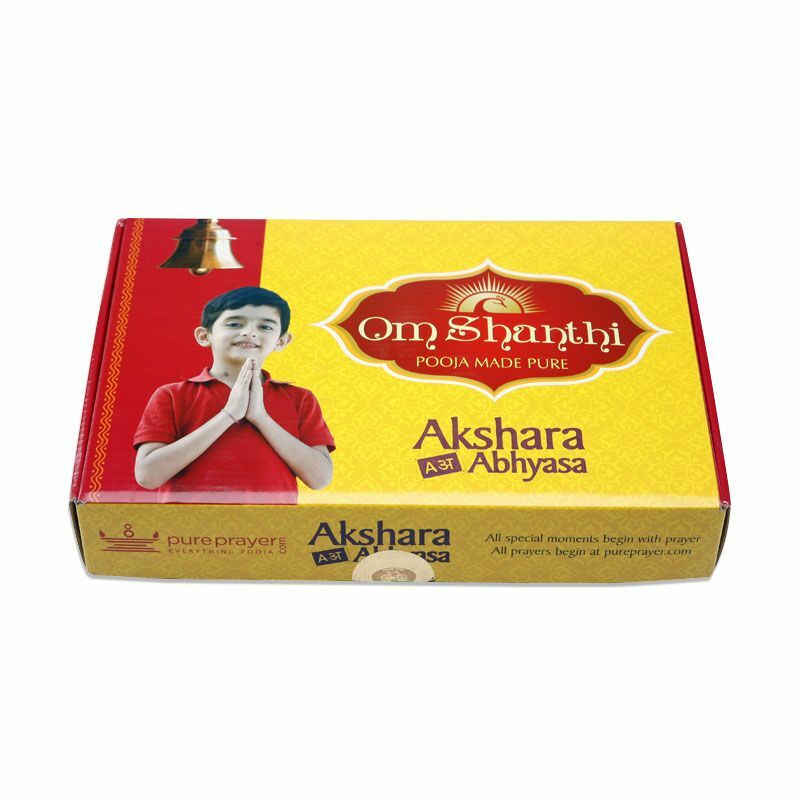 For your convenience Cycle Pure brings you Om Shanthi Akshara Abhyasa Pooja Pack. This convenience pack contains all the essentials to conduct Akshara Abhyasa Pooja. An Audio CD, the highlight of this pack, is created with great care under the guidance of learned scholars, purohits and in tandem with what is laid out in the sacred scriptures. This all-encompassing pack is curated to bring to you the shloka’s chants that you can follow with ease and recite yourself. It also gives you a step by step guide of performing the Akshara Abhyasa Pooja with proper methodology. Ideal for the new generation, this pack helps them follow the sacred traditions in an effortless way. The Pooja is performed on a Mool Nakshatra Day, Vasant Panchmi or on Vijay Dashmi, as the day symbolizes victory. 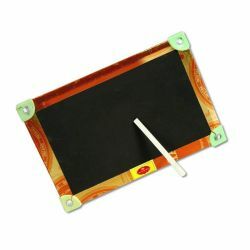 Bring home this Akshara Abhyasa Pooja Pack and initiate learning the right way.